Mao cha is traditionally ‘rinsed’ before being steeped. This is done with a quick application of hot water that is poured over the tea in the gaiwan or teapot and then immediately discarded. The rinse water is not drunk – its purpose is to help the leaves begin to open during steeping. Use additional, appropriately-heated water for the 1st steeping and subsequent re-steepings. 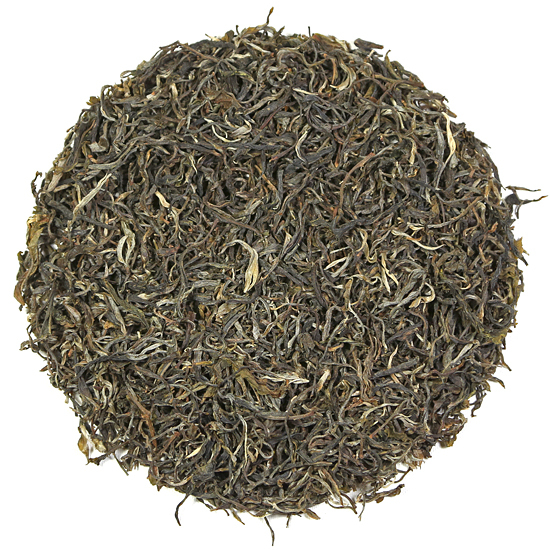 This tea is a nice, light sheng Pu-erh that is a great introduction to this category of tea. We have recently purchased an assortment of loose-leaf sheng Pu-er from various production areas because we think that these teas should become more well-known and be more available. Sheng Pu-erh offers the opportunity to really taste the essence of the tea trees and the place (terroir) without processing technique getting in the way and adding to the taste of the leaf. If you are a fan of Chinese white tea, light oolongs such as Bai Hao, or soft and creamy Yunnan black teas, sheng Pu-erh would be a great tasting light tasting tea addition to your repertoire of tastes. Sheng Pu-erh has many tastes derived from the location of the tea forest (terroir), the age of the tea trees, etc. 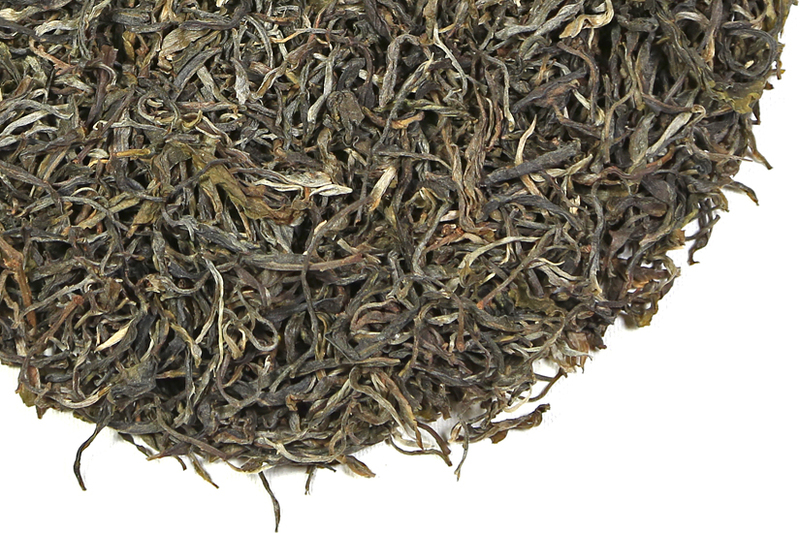 Essentially loose-leaf sheng Pu-erh has a sweet, woodsy; forest-clean flavor and mild aroma. It is perfectly lovely to drink this tea now or you can put some aside to age and strengthen over time. Da Qing Shan is located in the Mengku tea harvesting area. This place produces tea from genetically unique varieties of old tea trees that have been growing here for the past 300 years, some of which are cultivars unique to this area and some of which are descended from Camellia assamica. This tea has a have a light aroma, a simple, woodsy aroma and a nice, light pale-pink blush color in the cup. But over steeping can turn this tea pithy and bitter.